A fast, powerful, general-purpose surface modeling system running inside of AutoCAD. QuickSurf converts surface mapping data into contours, grids, triangulated irregular networks (TINs), and triangulated grids. The fastest, most powerful gridding and contouring software for AutoCAD. QuickSurf is a fast, powerful general purpose surface modeling system running inside of AutoCAD 2000 – 2014. 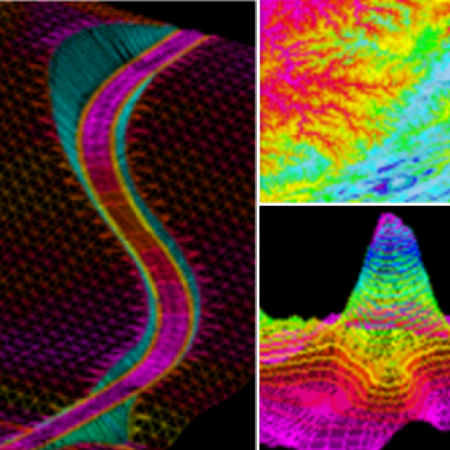 Thousands of people use QuickSurf daily for generation and annotation of contour maps, profiles, sections and volumetric computation. QuickSurf converts surface mapping data such as point or break line data into contours, grids, triangulated irregular networks (TIN), and triangulated grids. A suite of sophisticated tools allows you to manipulate modeled surfaces into high quality finished maps and perform a variety of engineering computations. QuickSurf meets the needs of a broad range of professional disciplines such as civil, environmental, petroleum and mining engineering, geologic mapping and exploration, surveying, photogrammetry and topographic mapping, landscape architecture, oceanography and surface visualization. What are the system requirements for QuickSurf? AutoCAD, AutoCAD Map 3D, AutoCAD Civil 3D. AutoCAD LT is not supported. Generic CAD programs are not supported. AutoCAD 2014 or earlier, 64-bit or 32-bit. Newer versions of AutoCAD will not be supported. Windows 10, 8, or 7, 64-bit or 32-bit.